I have had a busy week with a lot of family "drama" going on. My mother used to say that her revenge would be if my kids turned out to be just like me. Of course the opposite is often true when we realize: "Oh no I am becoming like my parents!" That should be enough to elicit a response from Jimmy Tucker or Burch Falkner — both southern gentlemen who like to pontificate in a humorous way. 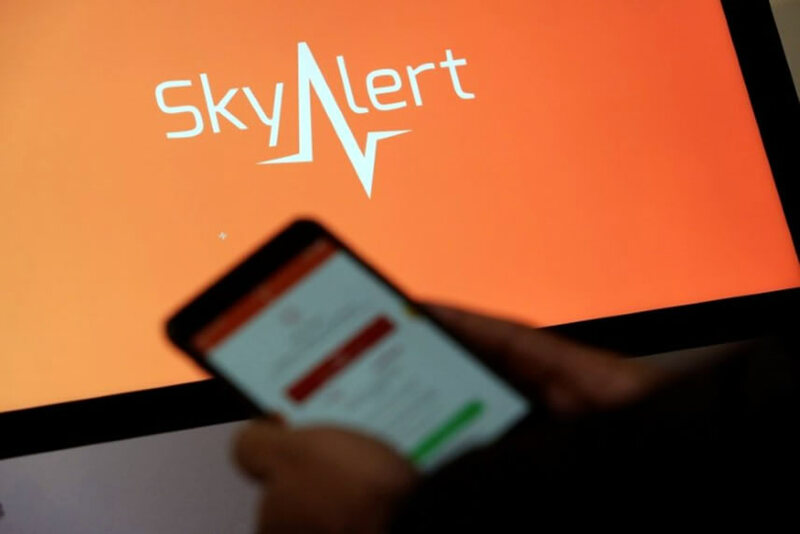 Oct. 19, 2017, at 5:42 p.m.
MEXICO CITY (Reuters) — Since two massive earthquakes hit Mexico in September, claiming more than 460 lives, an early warning start-up called SkyAlert has doubled its users to 5.8 million, making it one of the country's most downloaded apps. Still, finding a sustainable business model for the quake monitoring app has been a challenge partly because recent regulation in Mexico City has limited SkyAlert's ability to access funds through public financing. "If the business model is B2B where the earthquake early-warning is sent to companies, or railways, or hospitals, or high-buildings then perhaps a strong B2B case can be made for start-up investment," Ghose said. SkyAlert's predicament echoes that of companies seeking funding to develop earthquake alert apps in the United States. Seismic activity is hard to monetize without government support. It competes with its former partner, Mexico's official alerting system run by government-funded non profit CIRES, which was created after an earthquake in 1985 killed thousands in the country. One of the world's few widely deployed seismic alarms, CIRES runs a network of sirens positioned around Mexico City that warn of a coming quake. SkyAlert mainly warns people through a mobile app. Both sell quake warning systems, but a 2016 regulatory reform requires public buildings in Mexico City to purchase alarm systems from CIRES, limiting SkyAlert's public financing. SkyAlert initially replicated CIRES' alerts, but in 2015 it decided to deploy its own detection sensors to increase coverage with greater accuracy, Velasco said. "After a few false alerts from CIRES that affected SkyAlert's credibility, we decided to invest in our own technology," he said. Currently, it sells a "premium" version for $4 a year that allows users to personalize alerts. However, Mexico has an average per capita income of $8,200, and the company said only around 4 percent of users pay for it. Velasco said SkyAlert's revenue is split fairly evenly between those fees and income from selling to businesses. The newest version of the app allows for paid advertising, but ads would not be visible during a seismic alert. "In the end, what matters is how effective they are at alerting people to save lives," said Strauss. BlackBerry is perhaps the ultimate survivor in a mobile world that has already seen the likes of Microsoft defeated against the combined might of Android and iOS. It is worth remembering that for many years mobile users were not just limited to these two platforms. Indeed, there was plenty of other platforms to choose from including Symbian, Jolla Sailfish, Tizen, Windows Mobile (and then Windows Phone) and of course BlackBerry OS, which was made by a Canadian company called Research in Motion. But how did BlackBerry survive in a world where the choice of available smartphone platforms has now shrunk down to just two viable options? 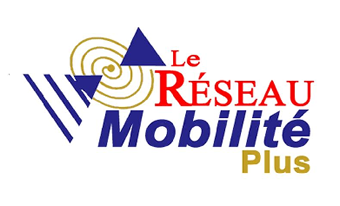 Research in Motion (RIM) was created way back in 1984 by Mike Lazardis (aged just 23) and Douglas Fregin. This was at a time before mobile phones were a reality for everyday people. Back then people communicated via pagers while out and about, or if you were rich a carphone. 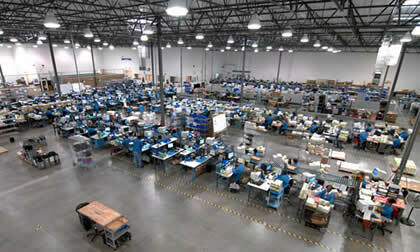 During its early years, the Waterloo, Ontario-based company set itself up doing a number of different projects. First off there was Budgie, an LED sign business that was contracted by General Motors to communicate to workers on its assembly lines. But that business never really took off and RIM’s owners decided to offload the venture and look at other possibilities. 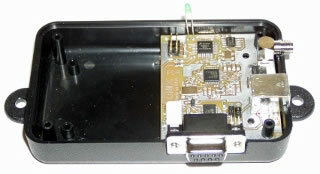 Another one of these projects was the DigiSync film reader. This was pretty good as it was wanted by Hollywood studios thanks to its syncing technology. This allowed movie editors for example to reduce the time it took to turn lots of film content into useable content in post-production. Indeed, the technology was so popular that RIM even won both an Emmy and a technical achievement from the Academy Awards. Despite that, it was always a sideshow for RIM’s founders. Messaging was RIM’s ambition, and RIM began to work with a number of industry players and one of these was Ericsson. The two firms worked together to develop the technology that would eventually be used in pagers and wireless payment processing systems. This would become the foundation of the BlackBerry OS going forward. RIM’s agreement with Ericsson’s Mobitex wireless network allowed RIM to create pagers in North America that operated as a two-way communicators, which was an advanced concept at the time, as cellular networks didn’t do data at that time. 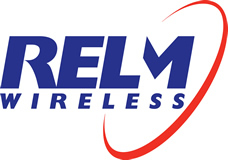 RIM therefore set itself up as the first wireless data technology developer in North America and the first company outside Scandinavia to develop connectivity products for Mobitex wireless packet-switched data communications networks, which became widely used by by military and police forces, firefighters and ambulance services around the world. Despite some setbacks, RIM remained committed to the technology, and it captured the imagination of a Harvard graduate Jim Balsillie. So much so that Balsillie, aged just 33 years old, decided to invest $250,000 of his own money into RIM by re-mortgaging his house in 1992. Balsillie would later become co-CEO of RIM alongside Lazaridis. In 1996, RIM released the Inter@ctive Pager, also known as the RIM 900, its first keyboard-based device. This was the start of BlackBerry’s success, as the company now had three key elements, namely a communications network, a device, and the software that connected the two. RIM went public on the Toronto Stock Exchange in 1997 and in 1998 it released the RIM 950, a dramatically slimmed down two-way pager. Then in 1999 it received FCC approval in the United State to begin selling its first BlackBerry device, the 850, with mobile e-mail. BlackBerry initially gained market share in the mobile industry by concentrating on email. 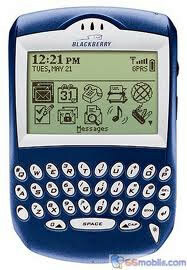 It also began to offer e-mail services on non-BlackBerry devices, such as the Palm Treo, via its proprietary BlackBerry Connect software. The terror attacks of 9/11 and the 2001 anthrax scare really made a case for BlackBerry as a secure communications device. The American government for example became RIM’s biggest customer with over half a million of the devices. The BlackBerry 5810 released in 2002 added voice calling capabilities to the device, and new devices came with a colour screen, as the number of users skyrocketed. By 2005 RIM had four million subscribers, and Balsillie and Lazaridis are named among Time magazine’s 100 most influential people. Then in 2006 RIM began to look beyond the enterprise market and released the first in a line of consumer-friendly Pearl devices, adding a digital camera and multimedia capabilities. That strategy paid off and by 2007 RIM had 10 million subscribers and it released the first of its Curve BlackBerry handsets. But like Nokia, RIM was caught by napping by the arrival of the Apple iPhone in 2007. 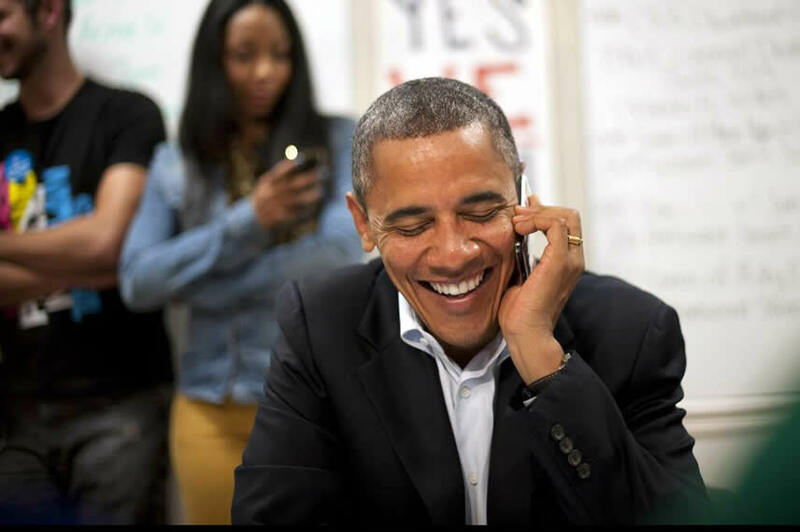 Over the next four years its battle with Apple (and Android) intensified, despite BlackBerry’s endorsement from President Barack Obama. 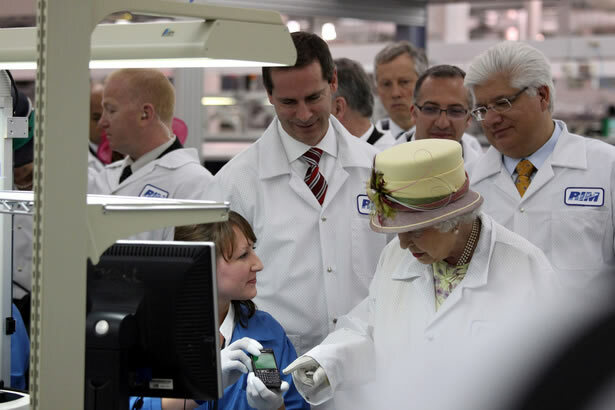 The Queen even visited BlackBerry’s headquarters in 2010. The Queen was said to be a long-standing fan of the BlackBerry ever since the Duke of York (Prince Andrew) first introduced her to the handsets back in 2007. When Apple released the iPad in 2010, RIM reacted quickly, but released the unpolished PlayBook in 2011. 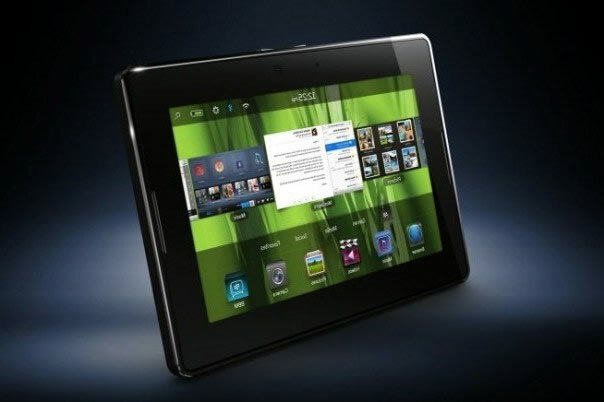 Initial reviews of the Playbook were not positive, not helped by the fact that the PlayBook unbelievably lacked the connectivity to popular BlackBerry functions such as email and instant messenger. RIM began to realise it was in trouble as it struggled with an aging handset portfolio to maintain a grip on its core enterprise market in the face of a growing challenge from Android and Apple. Several months later RIM revealed it would cut 2,000 jobs, and matters were not helped in October 2011, when users around the world suffered a four-day service outage. Both Lazaridis and Balsillie, two of the company’s biggest shareholders, reduced their salaries to $1. But the pressure was starting to tell. 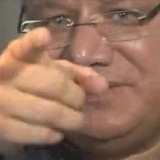 In 2011 co-CEO Mike Lazaridis walked out of an interview with the BBC’s technology correspondent Rory Cellan-Jones after he deemed some of his questions unfair. And 2012 also proved to be a year of big changes for Research in Motion. Both Lazaridis and Balsillie stepped down as co-CEOs and were replaced by Thorsten Heins, RIM’s former chief operating officer. Within months Heins announced 5,000 layoffs and a delay to the critical BlackBerry 10 software update, which is seen as the company’s last chance to stay alive. BlackBerry hit its peak in 2013 with 85 million BlackBerry subscribers worldwide, but finances at the company were increasingly dire despite the release of Blackberry 10, and there was talk of the company being sold to its largest shareholder, or even being broken up and its valuable patents sold off to the highest bidder. This was the same year when the name Research in Motion was dropped, and the firm thereafter became known simply as BlackBerry. It was also the year when Thorsten Heins’ short lived reign at BlackBerry ended, and former Sybase CEO John Chen was brought in to steady the ship. Chen from the outset didn’t feel that BlackBerry could continue making handsets, but he refused proposals from several technology companies for various BlackBerry assets on grounds that a break-up did not serve the interest of all stakeholders. In 2014 BlackBerry released a number of noteworthy handsets including the Passport, and the BlackBerry Classic. Other handsets continued to follow, and Blackberry continued to sell smartphones, but in 2015 with the release of the BlackBerry Priv slider and then the BlackBerry DTEK50, it decided all future handsets would all be Android-based. And then in September 2016 Chen finally got his way, and Blackberry announced it would cease designing its own phones in favour of licensing them to partners. Yet despite all this, there is reason to be optimistic about BlackBerry’s future. The firm has a veritable treasure trove of patents, and it has an important stake in a rapidly growing market thanks to RIM’s decision in 2010 to buy QNX, which offers in-vehicle infotainment and telematics systems. But for many the parallels with Nokia are obvious. Both BlackBerry and Nokia were icons of their respective nations. Both were dominant at the turn of the decade. Both have now exited the smartphone market after failing to keep up with the times. Yet BlackBerry remains an important tech player, albeit a diminished one. Its financials have improved, and it is once again reporting strong enterprise sales. Under the leadership of John Chen, BlackBerry has benefited from its retreat as a smartphone-only firm, and instead turned its attention to software, security and automotive systems for cars. BlackBerry has the pedigree and the technology to still go a long way. With increasing pressure on emergency response agencies to deliver in times of crisis, choosing the best communications system possible is crucial. Offering numerous benefits to both the public and first responders, a unified critical communications investment is the solution. And systems are getting better every day, as there continue to be great advances in critical communications. Mobile applications can now share information, video and text between field responders and the back office, often simultaneously sharing with multiple operatives. And a new generation of users (and greater ICT influence) demand a choice of devices to gain immediate access to this information. 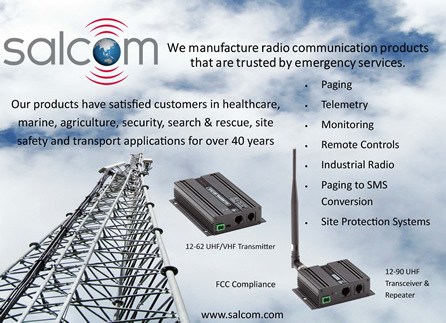 While quality PMR voice communications remain vital, they no longer meet every communication need. 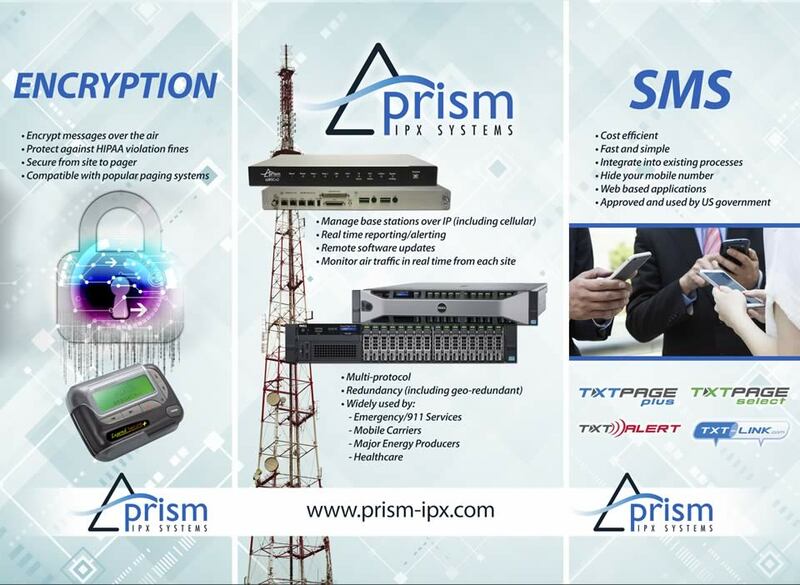 To meet all these needs and deliver the maximum benefit and value of each technology with the least number of disadvantages, first response agencies need to consider genuine unified critical communications — integrating several technologies to coexist seamlessly and connect individual devices across PMR, LTE and WiFi. 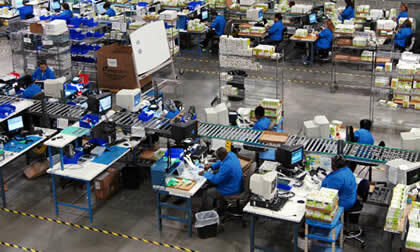 To meet complex communications requirements, employing multiple bearer networks becomes the reality. Unified critical communications create a network of networks, so that no matter where you are, and what conditions you’re working under, the system will choose the best bearer. This ensures that no matter which device is used, the message — voice, text, video, images, applications, or any combination — will be transferred efficiently, securely, reliably, seamlessly and in real time. For first responders dealing with so many unknowns, having a dependable communications system is vital. 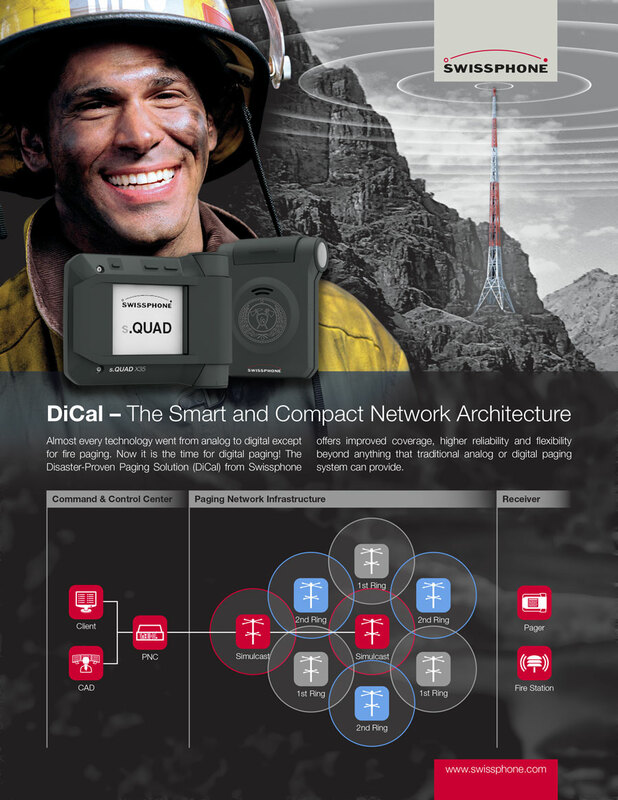 How can unified critical communications support emergency response now? 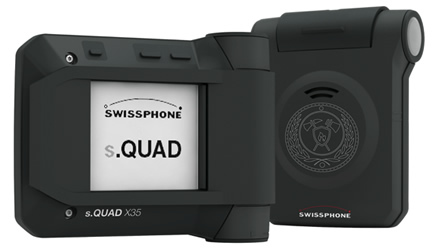 Officers and first responders often carry both a smartphone and a portable radio. Smartphones are great for their broadband data capabilities, but the public networks they depend on may be unreliable in rural areas, and are often overcrowded during emergencies. Private radio networks have great wide-area coverage, security, and resilience but may struggle in densely built up areas — particularly in buildings with energy-efficient glass and thick concrete walls. Solutions like UnifyVoice connect users to radio, cellular, and WiFi networks on a single device. The intelligent software automatically detects the best available bearer networks, even changing networks during a call if the original network ceases to work. The constant, reliable voice communications allow rescue and recovery efforts to continue unhindered by the worry of losing contact. Few things are more frustrating than not being able to communicate when you need to, and in emergency situations it’s absolutely critical. As technology convergence increases complexity and puts added demands on your communication system, solutions like UnifyVehicle create a local network of networks, including PMR, WiFi, wireless broadband, Bluetooth (and more), using your vehicle’s mobile radio as a base. Field responders can communicate when they need to, using their preferred device and the best available bearer, from a local network providing connectivity wherever they go. This is especially useful because emergencies often happen with no warning and little preparation time, in a wide variety of terrains and areas. UnifyVehicle ensures first responders’ communications are always ready to go. Users are no longer restricted to communicating via status messages or voice. Unified voice and data across multiple networks means a wide range of situational information — voice, text, video, images or any other data — can be shared with the right people by the fastest and most reliable method. This gives first responders access to enhanced data before arriving on scene, ensuring they’re fully prepared. With a choice of bearer always available, first responders can communicate dynamically with other emergency response agencies across any network they have in common. This enables dependable coordination of rescue and recovery efforts. No single technology can provide communication across the diverse terrain, variable demand and proliferating data that your organization needs. 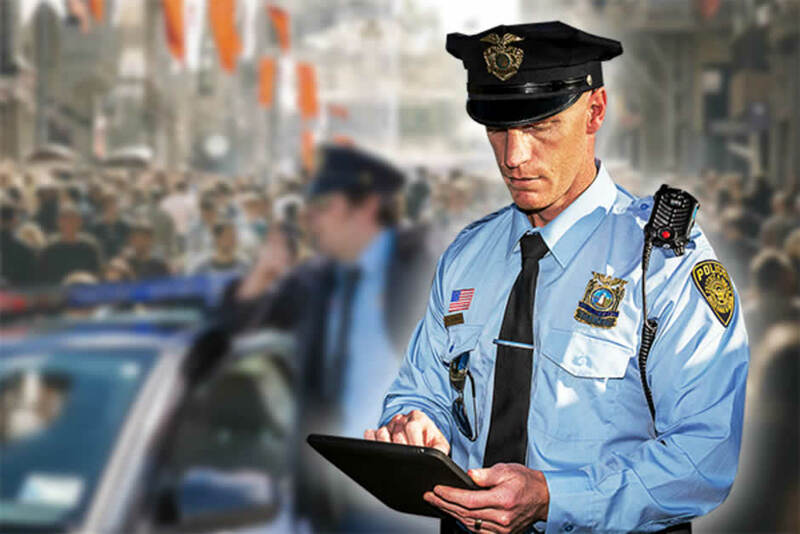 Designed to exact requirements, a unified critical communications system minimizes coverage “black spots”, giving first responders the wide coverage area they need to stay in contact. First responders who understand and trust their communication networks feel safer, and more confident. They know that should an accident, injury or emergency occur, they are not alone. User safety features, location data and alerts can operate across different networks and provide real time visibility, so dispatch knows instantly when and where help is needed. While this is a good introduction to unified critical communications, it is just the beginning. A Tait unified critical communications network is not a static solution that you implement and leave. In addition to all of the benefits offered by your investment today, your solution can develop and advance as upgrades, new features and applications create new and exciting opportunities for the future. 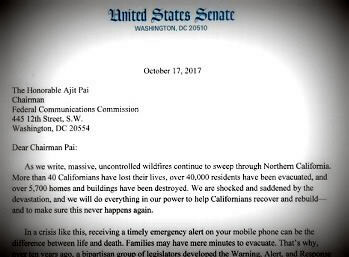 UPDATE Earlier this week, California Senators Dianne Feinstein and Kamala Harris sent a pointed and heartfelt letter to the chairman of the Federal Communications Commission (FCC) regarding the shortcomings in the emergency alert systems, made evident during the (ongoing) northern California wildfires. While wildfires continue to blaze in the northern part of the state, with over 40 people dead and more than 40,000 people evacuated, this crisis has brought to light challenges with the emergency telecom system. The same WEA system is used for Amber Alerts and counts on cell towers within a specific area to transmit emergency messages to cell phone users, unless they’ve opted out. However, because of inadequacies in the system where precise geo-targeting was not enabled, local authorities in Sonoma and Napa counties, for example, were “caught in a bind between notifying individuals in imminent danger and risking mass panic.” Geo-targeting “is a feature that has been standard in mobile applications for years,” and even though the FCC approved the proposal enabling the precise geo-targeting of WEA warnings over a year ago, they’ve failed to issue final rules to wireless carriers. The California senators have requested that the FCC respond to the inquiries presented in their letter by October 24. They want to know whether the FCC has solicited feedback from emergency services in California and from those affected by Hurricanes Harvey, Irma, and Jose regarding the WEA plus the timeline for the WEA rulemaking. Industry trade association WIA was first to react with their approval. Wednesday’s Northeast Wireless Safety Summit provided a variety of informative speakers and presentations during the one-day event in Fairfield, NJ. Black & Veatch safety experts Philip Grubbs and Edward Williams presented attendees with a safety checklist that they follow from job to job entitled “Think, Plan, Act”. See the link above to activate the presentation. On October 13, the FCC released an Order establishing procedures for the filing of access charge tariff revisions and Tariff Review Plans (TRPs) for incumbent local exchange carriers (LECs) subject to price cap regulation (price cap LECs) pursuant to the FCC’s Business Data Services Order. Price cap LECs are required to make such filings to implement the new productivity offset (or X-factor) adopted in the Business Data Services Order, to become effective on December 1, 2017. Petitions to suspend or reject 15-day tariff filings are due November 24, and petitions to suspend or reject 7-day tariff filings are due November 29. On October 18, the FCC issued a Public Notice seeking comment on the challenge process to resolve disputes about areas presumptively ineligible for Mobility Fund Phase II (MF-II). Comments are due November 8, and reply comments are due November 29. In the Public Notice, the FCC seeks comment on the steps it intends to use to process the coverage and subsidy data it collects as a part of the upcoming 4G LTE data collection, and to create the coverage data map that will be used in the challenge process. The Public Notice also proposes specific parameters for the data that challengers and respondents will submit as part of the challenge process, as well as a process for validating challenges. In order to create the map, the FCC is proposing to: 1) remove any subsidized areas from the provider’s coverage map; 2) remove any water-only areas; 3) overlay a uniform grid with cells of one square kilometer (1 km by 1 km) on the provider’s coverage map; and 4) remove grid cells with coverage of less than an area approximately equal to the minimum area that could be covered by a single speed test measurement when buffered. FCC staff would then generate the map of presumptively eligible areas for each state with the following steps: 5) merging the maps of unsubsidized coverage for all providers; 6) removing the merged unsubsidized coverage generated in step 5 (the ineligible areas) from the state’s boundary to produce the eligible areas; and 7) removing any water-only areas from the eligible areas. The resulting map of presumptively eligible areas (overlaid with the uniform grid) for each state or state equivalent would then be made available to the public. Once the map is available, the FCC is proposing to require providers to identify at least one device that is either: (a) officially supported by the latest versions of drive test software, such as JDSU, ZK-SAM, Rohde & Schwartz, TEMS, or Ookla; or (b) engineering-capable and able to be unlocked and put into diagnostic mode in order to interface with drive test software. Then, the FCC proposes to require a speed test be conducted between 6:00 AM and 12:00 AM (midnight) local time. Finally, the FCC proposes to require the following data: signal strength and latency; the service provider identity and device used (which must be from that provider’s list of pre-approved handsets); the international mobile equipment identity (IMEI) of the tested device; the method of the test (i.e., software-based drive test or non-drive test app-based test); and, if an app was used to conduct the measurement, the identity and version of the app. The FCC is also proposing to adopt an automated system to validate challenge submissions. The validation process would consist of four steps: 1) validate that the sum of all challenged areas in a state is greater than or equal to one square kilometer; 2) conduct an initial check for each speed test record submitted to ensure that the data parameters are consistent with all adopted requirements and that the file matches the file specification; 3) calculate the speed test buffer area, thereby determining the density of submitted speed tests and implementing step three of the validation framework; and 4) merge the unmeasured area of all providers in a grid cell to determine the aggregated unmeasured area where the challenger has not submitted sufficient speed test evidence for every provider. If the challenge fails any of these steps, it would be rejected and a warning message would explain to the challenger why the challenge was rejected. The FCC intends to create accounts for all service providers, using contact information submitted by a filer in its Form 477 filing data as of June 30, 2017, so they may participate in the challenge process. If a filer wants to use contact information other than the contact it submitted for its Form 477 for purposes of accessing the USAC portal, or if a filer wishes to add other users, we propose that it email the Commission and provide its provider name, the first and last name of the user(s) it wishes to grant access to the portal, and the email address(es) of the user(s), up to a maximum of three users. Finally, the FCC expects to make public a map of areas presumptively eligible for MF-II support no earlier than four weeks after the deadline for submission of the new, one-time 4G LTE provider coverage data. The FCC proposes to have the challenge process window open on the next business day, and to have it close 150 days later. Carriers interested in submitting comments or reply comments on the challenge process should contact the firm for more information. A copy of the full Public Notice can be found here, and the appendix mapping carriers’ names in the 477 filing to their names in the challenge system can be found here. Revisions to Reporting Requirements for HAC Mobile Handsets. In this proceeding, the FCC seeks comment on whether to exempt a service provider that is not a Tier I carrier (Non-Tier I Service Provider) from the annual FCC Form 655 reporting requirements or otherwise to modify these requirements, while maintaining the reporting requirements for Tier I carriers and all handset manufacturers. The FCC also seeks comment on whether the annual reporting requirements for Non-Tier I Service Providers are still necessary to achieve the FCC's objectives for adopting the reporting requirements and whether the burden of complying with these reporting requirements for Non-Tier I Service Providers outweighs the associated benefits. Comments are due November 13, and reply comments are due November 27. BloostonLaw has prepared comments advocating that onerous HAC reports be eliminated for small carriers. Any client interested in participating in the comments should contact us promptly (unless they have already responded to our recent call to action). Toll Free Assignment Modernization. In this proceeding, the FCC seeks comment on allowing the FCC to assign numbers by auction, on a first-come, first-served basis, by an alternative assignment methodology, or by a combination of methodologies. The FCC also seeks comment on allowing a secondary market for toll free numbers and on setting aside toll free numbers necessary to promote health and safety for use, without cost, by government agencies and non-profit health and safety organizations. Comments are due November 13, and reply comments are due December 12. Maintenance of Copies of FCC Rules. In this proceeding, the FCC proposes to eliminate the requirements that licensees or permittees of low power TV, TV translator, and TV booster stations maintain “a current copy of Volume I and Volume III of the FCC's rules;” that licensees or permittees of FM translator and FM booster stations maintain “a current copy of Volumes I (parts 0, 1, 2 and 17) and III (parts 73 and 74) of the FCC's rules.”; and that certain cable operators maintain a current copy of part 76 of the FCC's rules and, if subject to the Emergency Alert System (EAS) rules contained in part 11 of those rules, an EAS Operating Handbook. Comments are due November 13, and reply comments are due November 27. Carriers interested in participating in any of these proceedings should contact the firm for more information. Promoting Investment in the 3550-3700 MHz Band: a Notice of Proposed Rulemaking that would seek comment and propose changes to the Priority Access License rules in the 3550-3700 MHz (3.5 GHz) band to increase incentives for investment, encourage more efficient spectrum use, and promote faster and more widespread network deployments. (GN Docket No. 17-258) This item essentially seeks comment on the proposals of T-Mobile and others to enlarge the Priority Access Licenses (PALs) to be sold at auction, and to limit the availability of general access spectrum (GAA) in the 3.5 GHz band. These proposals could hinder the participation of small and rural carriers in the use of this spectrum for 5G. On October 13, the FCC issued a Public Notice seeking comment on the disclosure of information contained in each Numbering Resource Utilization and Forecast (NRUF) report filed with the FCC by wireless telecommunications carriers from December 2015 through the present to the Department of Justice. The Department also requested local number portability (LNP) data in the FCC’s possession related to wireless telecommunications carriers, by carrier and by rate center, from January 2016 to the present. Comments are due October 24. In general, the FCC may share information it has collected with another government agency, and that all provisions of law that relate to the unlawful disclosure of information apply to the employees of the agency to which the information is released. Although the FCC’s regulations provide that proprietary and commercially sensitive information will be withheld from public disclosure, subject to the public’s right to seek disclosure under the Freedom of Information Act, the FCC indicates that it may disclose to other federal agencies records that have been submitted to the FCC in confidence upon another agency’s request pursuant. Affected parties have 10 days from the date of this notice to oppose disclosure of NRUF and LNP data to the Department of Justice. If the FCC receives no opposition from affected parties within 10 days of this notice, the FCC will disclose the information requested above to the Justice Department. On October 11, the U.S. House of Representatives Subcommittee on Communications and Technology approved draft legislation on reauthorizing and reforming the FCC. The bill will now move on to the full committee for a vote. Various rulemaking process reforms, such as minimum periods for comments and reply comments on new rule making proposals, and new policies concerning the submission of extensive new comments, data, or reports towards the end of the comment period. Procedures for informing all Commissioners of options available for resolving a given petition, complaint, etc., and ensuring that all Commissioners have adequate time to review before acting. A requirement to publish the FCC’s logs for tracking, responding, and managing FOIA requests, as well as all decisions made by the FCC regarding all such requests. 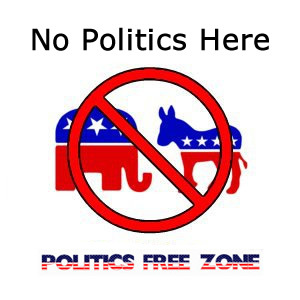 A prohibition against the FCC categorizing a complaint under the Telephone Consumer Protection Act (TCPA) as a wireline or wireless complaint unless the party whose conduct in question is a carrier. Publication of items on circulation, within 24 hours of circulation; scheduled for vote, at least 21 days before the vote; and on adoption, within 24 hours of the receipt of dissenting statements by the Secretary. Establishment of an independent Inspector General and an Office of Economics and Data. Elimination of the Daily Newspaper Cross-ownership rule. On October 11, U.S. Sens. John Thune (R-S.D. 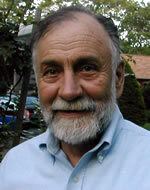 ), chairman of the Senate Committee on Commerce, Science, and Transportation, and Jerry Moran (R-Kan.), chairman of the Subcommittee on Consumer Protection, Product Safety, Insurance, and Data Security, requested information from the alleged perpetrator of “one of the largest spoofed robocall campaigns ever investigated by the Federal Communications Commission.” The committee’s request to Adrian Abramovich of Marketing Strategy Leaders, Inc., seeks information about alleged actions, including records of robocalls made by his business and its relationship to other businesses and contractors. Do you acknowledge engaging in the conduct alleged in the June 22, 2017, Notice of Apparent Liability for Forfeiture (NAL) sent by the FCC? If so, describe when and how you began robocalling and engaging in neighbor spoofing, including the type(s) of devices and technologies used. Provide a record of all robocalls you and/or your businesses have made. Describe any relationships you or your businesses had with third party contractors, including, but not limited to, third parties representing themselves as popular American travel and hospital companies. What steps are you taking to ensure that your businesses and your affiliates are not currently engaging in the illegal activity described in the NAL? How are you addressing the apparent harm to consumers, carriers, and misrepresented companies and individuals caused by the alleged spoofing? As we reported in a previous edition of the BloostonLaw Telecom Update, the FCC issued a Notice of Apparent Liability against Abramovich in the amount of $120 million back in June of this year, for having apparently made nearly 100 million spoofed robocalls. On October 17, the FCC announced that it reached a settlement with Verizon for possible violations of the FCC’s competitive bidding rules for the E-rate program. Verizon agreed to pay $17.68 million to resolve parallel investigations by the FCC and U.S. Department of Justice, $17.325 million of which will be repaid to the Universal Service Fund (USF). Verizon has further agreed to withdraw any rights it may have to hundreds of millions of dollars in requested and undisbursed E-rate support. This settlement follows an investigation into Verizon’s involvement with New York City schools’ use of the Erate program. The FCC’s Enforcement Bureau conducted its investigation in parallel with the U.S. Department of Justice Civil Fraud Section and U.S. Attorney’s Office for the Southern District of New York. In related actions, former New York City Department of Education consultant Willard “Ross” Lanham was convicted by a federal jury sitting in the Southern District of New York. To resolve the FCC and Justice Department investigations, Verizon will pay $17.325 million to the Universal Service Fund through the FCC settlement and $354,634 to the U.S. Treasury through the Justice Department settlement. In addition, Verizon will surrender any claims against the Universal Service Fund it may have to approximately $7,303,668 in undisbursed E-rate support for products and services provided to the New York City Department of Education between Funding Years 2002 and 2013. Furthermore, Verizon will surrender any appeal rights before the Universal Service Administrative Company and the FCC in connection with more than $100 million in E-rate support for which the New York City Department of Education has withdrawn requests for support through its 2015 settlement with the FCC. As part of the FCC’s settlement, Verizon will also operate under a compliance plan for three years. Reuters is reporting that T-Mobile US, Inc. and Sprint Corp. plan to announce a merger agreement without any pre-emptive announcements on divestitures. The merger, if approved, would combine the nation’s third and fourth-largest wireless carriers in the U.S. According to a UBS research analyst, the FCC will likely force T-Mobile and Sprint to make some divestitures of spectrum, since the combined company would have the most airwaves in its sector with more than 300 MHz, putting it ahead of Verizon’s and AT&T’s holdings. Companies commonly pre-announce what assets they are planning to sell as a strategy for gaining regulatory approval for a merger. However, sources quoted by Reuters believe the companies are seeking to preserve their spectrum holdings as much as possible and expect challenging negotiations with antitrust and telecom regulators. T-Mobile and Sprint believe that the U.S. antitrust enforcement environment has become more favorable since the companies abandoned their previous effort to combine in 2014 amid regulatory concerns, according to the Reuters report. On October 17, the FCC issued a Hearing Designation Order granting a Petition for De Novo Review filed by the State of Indiana, and commencing a hearing proceeding before an FCC Administrative Law Judge (ALJ) to resolve specific, 800 MHz rebanding disputes between Indiana and Sprint Corporation (Sprint). These issues reportedly relate to the costs to be reconciled as part of the closing of the Parties’ Frequency Reconfiguration Agreement (FRA). In 2004, the FCC directed that Sprint provide public safety licensees with comparable facilities on their new 800 MHz channels, and a seamless transition to enable public safety operations to continue without interruption during the relocation process. Public safety and other licensees using similar technology were obligated to have their 800 MHz systems rebanded at minimum reasonable cost. The rebanding plan contemplated that Sprint would negotiate an FRA with each licensee whose system was slated to be relocated. Indiana and Sprint were unable to resolve disputed issues during mediation. Therefore, the 800 MHz Transition Administrator advised the FCC’s Public Safety and Homeland Security Bureau that the parties were at an impasse in negotiating the costs to be reconciled as part of the closing of their FRA. The Bureau later issued an order deciding the disputed issues, and Indiana filed a timely petition full Commission. I finally heard back from the board repair depot at CTDI, and the answer really wasn't unexpected. For CTDI, they have no way to repair. Looks like this will be a dead end, and the end of the road for this product eventually. Sorry for the delay, I was hoping to have better news for you. Unfortunately, these are obsolete and not able to be repaired nor supported. We spoke on the phone yesterday afternoon about some boards from a Motorola paging transmitter known in the Field as a Nucleus I paging transmitter. There were 2 plug in modules (FRU's) in particular in this transmitter that when one of the 2 boards failed, the matched pair had to be returned to the factory for repair and alignment. It is my under standing that the high stability osc had to be factory set for simulcast operation to function correctly once the pair was returned to the field. I have photos of the model and s/n labels on these modules that were sent to me so that I could determine what they have. This is the information that I can see from the photos. 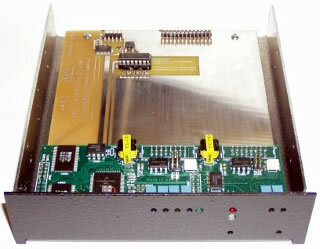 It would appear that there are 2 different model number Exciter Modules, and probably the same for the SCM Module. I would however assume that the repair and calibration process is the same, or very similar. Either pair could be placed into a paging transmitter and function correctly, if, the pair was matched by it's unique ID number. If unmatched pairs were placed into the transmitter, the station would transmit, but a particular feature would not work, and the field needs that feature to function properly. Is CTDI able to repair and calibrate these modules ? We are proud and honored to share “Everyday People,” produced by Playing For Change in partnership with Turnaround Arts. Turnaround Arts infuses struggling schools with arts as a strategy for reform. The program was founded by President Obama's Committee on the Arts and Humanities and is now run by the John F. Kennedy Center for the Performing Arts. Turnaround Arts currently works in 73 schools, 38 districts, and 17 states and the District of Columbia. "Everyday People" features Turnaround Arts students alongside their Turnaround Artists including Jack Johnson, Jason Mraz, Paula Abdul, Misty Copeland, Elizabeth Banks, Keb' Mo, Forest Whitaker, and many more performing this timely song by Sly and the Family Stone. This video was created to inspire the idea that all children deserve access to the arts in school and that the arts have the power to create change. Playing For Change is a movement created to inspire and connect the world through music, born from the shared belief that music has the power to break down boundaries and overcome distances between people. Our primary focus is to record and film musicians performing in their natural environments and combine their talents and cultural power in innovative videos we call Songs Around The World. Creating these videos motivated us to form the Playing For Change Band—a tangible, traveling representation of our mission, featuring musicians met along our journey; and establish the Playing For Change Foundation—a separate 501(c)3 nonprofit organization dedicated to building music and art schools for children around the world. Through these efforts, we aim to create hope and inspiration for the future of our planet.